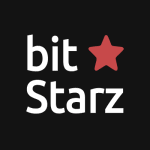 We go through heaven and hell to bring you these next 5 slots from Betsoft, Yggdrasil, Netent and JFTW! 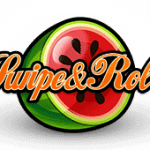 Paco and the Popping Peppers, from Betsoft, have come up with the perfect solution to the depressed and despaired in this fiery Mexican fiesta themed 5-reel and up to 30 variable paylines slot. We’re sure that you’ll also want to be partying in the streets if you manage to unlock a payline win of up to 2,500 coins! You will find bright, crisp and colourful graphics that extends to the symbols of anthropomorphized fruits and vegetables: pineapple, tomato, coconut, chilli pepper, red pepper, green pepper, garlic and onion. The colourful donkey piñata wild can appear anywhere and substitutes for all other symbols. Five on a payline will instantly credit you with 2,500 coins. The bonus round invites you to guess whether the next card will be higher or lower than the card displayed and ends when you go 10 game rounds or collect 3 strikes, whichever comes first. 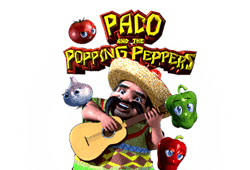 Play Paco and the Popping Peppers Bitcoin slot for free. 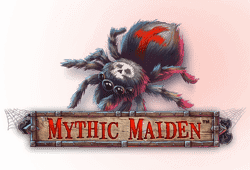 Mythic Maiden from Netent is a 5-reel and 30 fixed paylines slot based on a darker, scarier and mysterious theme of a medieval torture device with prizes that can reach 600,000 coins! Amongst the higher-value symbols is a shrunken head used in voodoo, the skull of a fanged beast, magic book, spider and mystery chest. The full moon brings more than just light because it also acts as a wild, with a 3x multiplier, that can substitute for all symbols except the scatter. The glowing orbs scatter symbol can appear on any reel with 3, 4 or 5 awarding 10, 15 or 30 free spins respectively. During this feature, on any given spin, the iron maiden to the right of the reels may open to present a multiplier of up to 10x and/or up to 2 additional free spins. The free spins can be re-triggered while running. 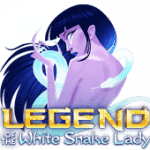 Play Mythic Maiden Bitcoin slot for free. 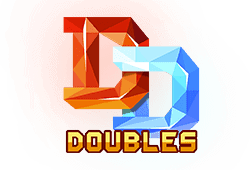 Yggdrasil, creator of some really entertaining slots, is at it again with the fruit-themed and arcade style 5-reel and 243 ways-to-win slot called Doubles. The top way win prize is an incredible 25,000 coins! 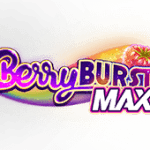 The slot is very bright and colourful with a purplish tint with top-paying symbols that include a blue diamond, lucky 7, horse shoe, star, cherries, watermelon, orange, lemon and plum. 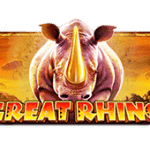 The free spins feature in sets of 3, 4 or 5 will unlock 10, 20 or 40 free spins respectively – with a twist! 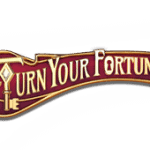 This is because you first get to choose a symbol to appear as double during the free spins. This means that each instance counts as two symbols so you could theoretically collect a payline win consisting of 10 symbols. 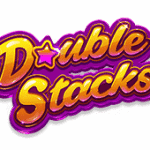 Play Doubles Bitcoin slot for free. JFTW aims to capture the lighter side of the amazing story of the Aztec civilization in the 5-reel and 243 ways-to-win slot, Amazing Aztecs, with top payouts of 10x your total bet! The colourful higher-value symbols include cartoon-style characters. The winning symbols are frozen in place while the other symbols take part in a respin where it is possible to create new and bigger wins simply by adding blocks of identical 2×2, 3×3 or 4×4 sized symbols. 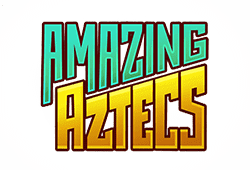 Play Amazing Aztecs Bitcoin slot for free. Netent examines the fantastic motif of heaven & hell in this next 3d bitcoin slot called Archangels Salvation, played out on 6-reels and 12 rows for a total of 100 fixed paylines. Payouts on a payline can climb as high as 150 coins and with this many paylines you can quickly combine winnings. The slot really sets itself apart from many of the more familiar themes with the shimmering Archangel to the reel’s left, while to the right of the reels is a horned demon. 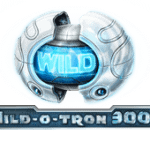 One of the first features that you will notice is the 2×2 sized wild along with the stacks of wild and singleton wild which both only appear during the Heaven Feature and Hell Feature respectively. They have the power to substitute for all other symbols except the scatter. 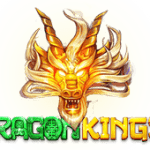 The slot refers to the top 2 and bottom 2 rows as hot spots, which become 3 rows while in free spins mode. A 2×2 wild landing partially or fully in the top or bottom hot spot will trigger the Heaven or Hell feature respectively. In the Heaven Feature, you can collect 2 stacks or 4 stacks of wild symbols depending on whether the 2×2 wild lands partially or fully in the top hot spot. Likewise, depending on whether the 2×2 symbol lands partially or fully in the bottom hotspot, you can win 8 or 16 randomly placed singleton wilds. Both features can be re-triggered. 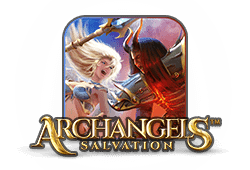 Last but not least, Archangels Salvation includes a scatter symbol that appears in sets of 3, 4, 5 or 6 to trigger the 10, 15, 20 or 25 Free Spins feature. 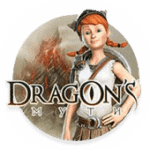 Play Archangels Salvation Bitcoin slot for free.